Hah. I defy those that would make fun of me and my aquarium. Here are some pics of my new fish. I got five Spotted cories. They are bottom feeding catfish and very cute. I love and wanted Clown Loaches, but the too like to school and at 16inches per fish, I just don’t have the tank for them. 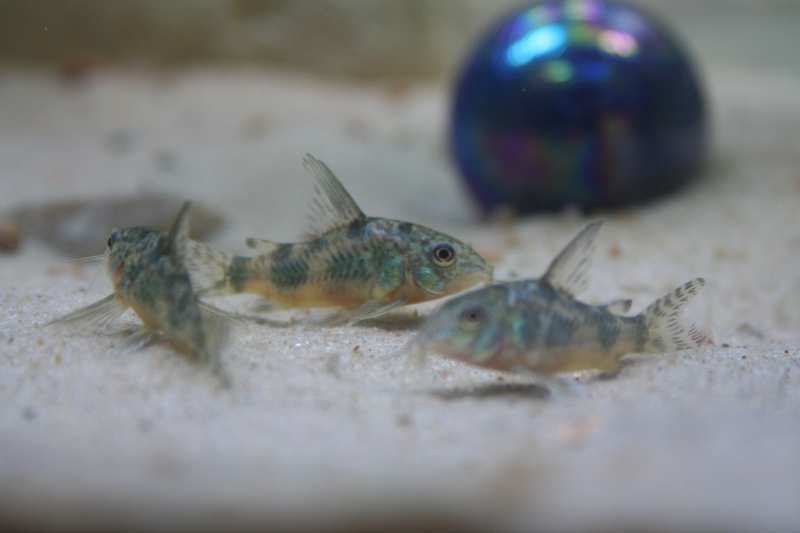 These cories are just as cute and fairly colorful. The flash on the camera kinds of whites them out, but you can still see the colors. ~ by OgreMkV on June 16, 2007.